wide range of human-induced activities along coastal and marine environment. Human activities both on- and off-shore lead to the release of litter in coastal and marine environments. The root causes of marine litter are related with the prevailing production and consumption patterns. 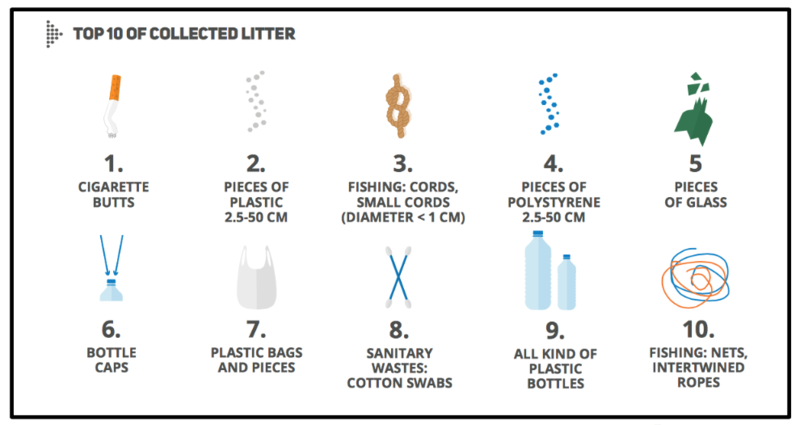 Marine litter is primarily generated by land-based practices such as inadequate solid waste management, discharges of untreated or inappropriately treated wastewater, tourism and recreational activities and industrial outfalls. It has been found that the Mediterranean area witnesses the largest amount of annual per capita municipal solid waste reaching the levels of 208-760 kg/year. Litter from land-based sources finds its way to the sea via rivers, drains, sewage and stormwater outlets or when blown by winds, or even swept with the tide. plastic waste enter the ocean every year as a result of inadequate waste management”3. The role of NGOs in tackling marine litter in the Mediterranean is prominent. Apart from running awareness-raising and education activities, NGO initiatives are significant in terms of data collection and cleanup operations. as other institutional commitments and declaration such as: the Rio + 20 “The Future we want”, the EU Marine Strategy Framework Directive, the Honolulu Strategy, the Ecosystem Approach Roadmap, MEDPOL reports, among others. The 20th ordinary meeting of the Contracting Parties (COP) to the Barcelona Convention will take place between 17th-20th of December 2017 in Tirana. Considering that the COP20 agenda is focusing on protected areas and biological diversity in the Mediterranean, strongly affected by Marine Litter pollution, this current commitment has been elaborated and approved with the participation of a wide range of stakeholders during the Blue Eco Forum held in Barcelona on the 24th of November 2017. The signatories, represent diverse civil society actors, underlining the urgency to move with a much more ambitious, concrete and comprehensive roadmap towards a Mediterranean that is free from marine litter. Therefore, the adhered organizations call for immediate actions to be taken by all relevant stakeholders in order to drastically prevent and reduce marine litter in the Mediterranean Sea, and by doing so to contribute to achieve the Sustainable Development Goal no14. The adhered entities have to take on the Barcelona Commitment in terms of undertaking concrete steps in their own strategies and action plans. The Barcelona Commitment has been established by considering reports, initiatives, and statements of a wide range of NGOs, public authorities, academia and businesses to prevent and reduce marine litter in our seas and oceans; particularly focusing on prevention and reduction, communication campaigns and education and research staring from inspiring declarations. – To boost coordination between countries particularly on programmes and projects under EU and Non-EU funding systems dedicated to Marine Litter studies to avoid overlapping and duplication of efforts enhancing collaboration and communication of actions done; by means of regular meetings -annual or biannual- of project managers related to Marine Litter Projects in Mediterranean Basin. 2020 and above all for next funding periods 2021-2027. (open data) both on realized projects and scientific articles related with in the Mediterranean Basin; bring them together and keep under an institutional umbrella such as UNEP/MAP by 2025. 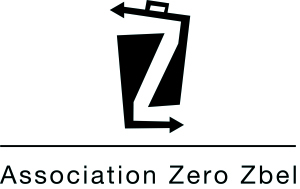 – To support awareness campaigns focusing on banning single-use plastics and alternative items aimed at consumers and producers. -To improve R&D focusing on cost-effective alternatives and ecodesign. -To increase cooperation between stakeholders for the dissemination of best practices of banning single-use plastic items (e.g . handbook on best practices experiences). -To introduce a successful follow up of this measure coherent policies and associated taxation and fine systems shall be taken into account in Mediterranean countries. 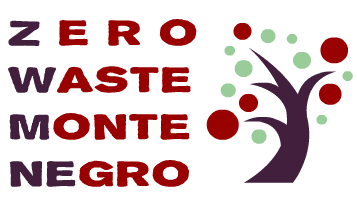 – To support public awareness and education activities towards sustainable production and consumption focusing on prevention actions and promotion of best practices instead of curative activities. – To endorse policies by 2020 to implement strategies for Extended Producer Responsibility for entire products life-cycle in order to encourage companies to design reusable and recycling items as well as to reward eco-friendly and innovative products and discourage over-packaged products and to establish relevant taxes. · Fiscal incentives promoting reuse and repairing pattern as well as collaborative economy. Especial acknowledgements to Break Free From Plastic Mediterranean, Barcelona Local Council for their support to Barcelona Commitment and to MIO-ECSDE for revision and implementation of the present document.